Since 1989 The Eye Center has been on the forefront of vision correction procedures. Dr. Boutros and The Eye Center are two names that have come to define a standard of excellence in vision correction, performing thousands of iLASIK procedures. 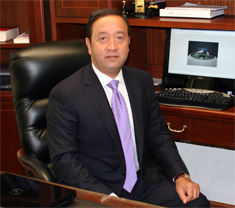 Dr. Boutros has spent the last 30 years refining the vision correction process. When you have iLASIK at The Eye Center, your treatment is based on specific measurements that are taken during your extensive, dilated, pre-operative examination. iLASIK introduces a new level of accuracy to the vision correction procedure. Many patients spend a great deal of energy and time learning about the technology in various items, such as computers, appliances, televisions, etc. But when it comes to their eyes, they don’t take the time. Here we provide detailed information on why iLASIK (All laser LASIK with Custom Vue) is, in our opinion, the best possible vision correction treatment available today. It is the only procedure approved for Naval aviators and NASA astronauts. This is your first step to learn about iLASIK and why everything else is LASIK. Ayman Boutros, MD, FAAO, Ophthalmologist at The Eye Center, and affiliated with Inova Loudoun Hospital and the Reston Surgery Center, has been named a 2017 Top Doctor in Virginia. Top Doctor Awards is dedicated to selecting and honoring those healthcare practitioners who have demonstrated clinical excellence while delivering the highest standards of patient care. 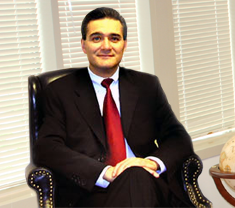 Dr. Ayman Boutros is a highly experienced ophthalmologist who has been in practice for more than three decades. Celebrating 30 Years of Vision Correction! You’ve probably thought of a thousand reasons to have LASIK… If you could wake up & see clearly, no more expensive contacts, that would be amazing! Well snap out of it! Because Dr. Boutros & The Eye Center will give you three thousand reasons to have LASIK! You see, from now until April 30th Dr. Boutros & The Eye Center are celebrating 30 years of Better Vision by rewarding you with a $3,000 SAVINGS on iLASIK with iDesign 2.0! This is your chance to have one of the most advanced vision correction procedure in the world with Dr. Boutros… one of the most experienced LASIK surgeons in the country! Don’t wait another minute, get LASIK now and stop hassling with contacts & glasses and enjoy our biggest savings ever of $3,000! Call The Eye Center before April 30th at 888-844-2020 to Schedule your Free LASIK consultation with Dr. Boutros. We, the staff of The Eye Center, would like to take this opportunity to express our appreciation of your time and the privilege of serving you. We know that you have a choice and that there are many Laser vision correction companies out there. We would like to take a few minutes of your time to explain what sets us apart from the rest. As one of the largest ophthalmology and refractive practices in the D.C. area (VA, MD, DC), we are positive that after reading this information you will come to agree that we provide a more comprehensive approach to laser vision correction and total eye care. We want to be your laser vision group and your eye doctors now and for the years to come. The Eye Center has provided outstanding eye care for Northern Virginia communities since 1989. Our reputation is unsurpassed in both regular eye care services and surgical procedures, and as well, we have been leaders in the field of laser surgery. Our LASIK program provides unparallel professionalism, follow-up care and guidance. The Eye Center is one of the top centers for eye care and LASIK in Virginia and Washington DC. Why Choose The Eye Center? Eye care for the whole family. Get directions on our locations page. Better Vision Through Better Care. With 30 years experience, you can rest assured you're in great hands! The patient is the number one concern.